Home / Featured / What’s new on Android? 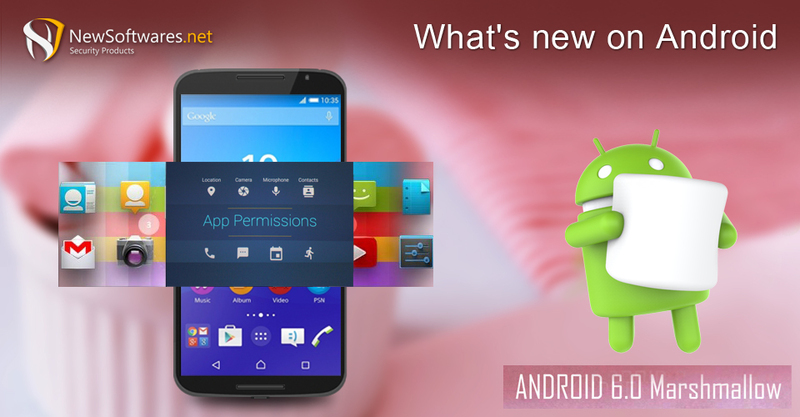 Changes made to Android up till January 15, 2016. In November 2014, Google hit a home run with the Android Lollipop. The improvements made were huge. Google specially designed a new user interface for Android Lollipop. And for this interface, Google created an all new design language. Android continued to evolve with its latest version, i.e. the Android Marshmallow. Marshmallow is literally a breath of fresh air inside any mobile handset. The software is more polished, looks awesome and is less power hungry. Boot up a Nexus 5 with it and you’ll experience about 30% uplift in battery performance. Overall, Android Marshmallow is a brilliant update to a platform that used to be clunky and full of security issues. Before its release, if any user needed to install an app, he had to first accept a list of special permissions. People were pretty much frustrated with this feature and studies after studies have revealed that they would have most likely said no to most of these permissions had they been allowed to. However, with Android Marshmallow, this issue seems to have been resolved. Guys at Google have worked hard on the improvisation and upgrading of many Android’s features, most notable of which are security and power management. The app permissions system has been extensively tweaked and has been made a lot better and much more secure than it was previously. The app permissions have now been individually bundled up and distributed to you as and when you use a certain feature that requires it. It now lets users reject or approve permissions from individual apps within the app itself. You won’t be hit with a big wall of permissions when you install the app anymore. Instead, when you use a feature, say a voice message recording in WhatsApp, it’ll ask you for permission then, rather than up-front. And you can still go to permissions for any given app and tweak them, or turn them off, at any time you want. Another major change is made to the device’s battery optimization. The Doze feature is designed to make your handset more power efficient. Its sensors detect when you’re not using your smartphone, and it puts it to a kind of sleep mode so t uses less power. It’s an excellent addition to Android and one that adds a few more hours to a smartphone’s battery life. Plenty of attention has been focused on Google Now, generally with the intention of making it smarter, faster, more responsive and accurate, and overall easier to use and get exactly what you need out of it. Google says the Google Now suite understands context better than ever before, so for example, if you have a route set up in your Maps already you can ask “how far is it?” and Google Now will know you are referring to the current route’s end destination – you don’t have to be so specific any longer. Changes have been to Google’s cloud service, i.e. Google Drive. One of the more frustrating organizational issues with this interface in the past was the inability to drag items from search to a specific Folder. Now you can easily shovel any file into the folders where you want them to be. A good news for developers this week is that Google has enabled promotional codes on the Google Play Store, allowing app developers to generate and distribute codes for paid apps and in-app purchases. Promo code support on the Google Play Store has been a highly requested feature. Google says that developers can only create up to 500 promo codes per quarter, and that number is split between paid apps promo codes and in-app purchases together. Developers can also set expiration dates for promotions lasting up to one year. These are no doubt some pretty awesome updates to the Android platform. And Google is working on making it even better! Google releases at least one major update every year for its Android platform. So we can only imagine what more Google has in its pipe.